Excellent service experience, Thank you so much for help me in this time. Fast reply and help. Thank you! Why book Los Angeles Airport car rental at VIP Cars? Rent a car at Los Angeles Airport with pricing inclusive of CDW, Theft Waiver, Unlimited Mileage etc. Hire a car at Los Angeles Airport and cover a list of places scattered across the vast city of Los Angeles in total ease. At VIP Cars, our booking engine lets you search and book in just three easy steps, saving you time, efforts and money. Additionally, an online car hire reservation made in advance saves the hassle of standing in a queue and waiting for your rental car at LAX Airport; hiring a car at LAX gives you tremendous flexibility and freedom to move around. A rental car simply broadens your reach within the city and surroundings, allowing you to explore and discover more. Be it touring around leading tourist attractions or cruising celebrity hot spots, you can travel with ease from the city's one end to other. Why Book a Rental Car at Los Angeles Airport? If Disneyland, Universal Studios, Rodeo Drive & LA Zoo are not enough reasons for you to have access to a car of your own in Los Angeles, then road trips to dazzling city of Las Vegas or to the beautiful Grand Canyon should be. A drive across Route 66 is without a doubt an experience to cherish. 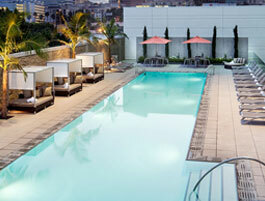 A rental car at LAX means luxury to plan your stay in and around Los Angeles as you please. These partner companies have their counters inside the airport which makes pick up for the travelers, especially the ones who have pre-booked cars, really easy. That’s why it is advised that you reserve a rent car for LAX to avoid any hassle of preferred rental availability at the last moment. How to reach SIXT’s & other car rental companies’ desks at LAX? Follow the signboards directing to Baggage Claim area, collect your luggage, and step outside. This is the place where you will come across the shuttles of rental car companies. Board a shuttle of your rental car provider and collect your car within next 5 to 15 minutes. Though all rental car companies have kiosks and their representatives present at the airport, the vehicles are parked at off-site lots. Why use VIP Cars To Book Rental Car at LAX? VIP Cars gives you access to best & most economical LAX car rental deals inclusive of taxes, airport surcharge, and other associated costs. Our best in class booking engine lets you compare car rental deals of various leading car rental companies. 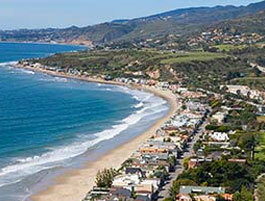 You can easily compare and instantly book a value for money LAX rental car deal, which comes with no hidden charges. With a dedicated customer support team always ready to assist, you can get in touch anytime should a need arises. Whether you wish to know the rental documents like ID proof, valid license or available payment options, have queries on cross-border travel from LA to other city or simply are not able to access our booking form, just call our support team & talk to them no matter what time is it. VIP Cars offers free cancellation if you decide to cancel your Los Angeles car rental deal 24 hours before the pick-up time. VIP Cars, in collaboration with globally renowned car rental companies, offers a wide range of rental fleet to choose from. Whether you are in Los Angeles for sightseeing or a business trip, with us you could always find huge rental options to suit your commuting requirements. Note: Every car you see online on our booking engine comes with 'or similar’ tag – it means that suppliers can’t guarantee the exact model. Only the car-type is guaranteed; call us to know more. An economy car is best for people who don’t want to spend much on the rental car; same is the case with compacts and sedans. For bigger savings, we advise you to rent at least 3 months in advance. Our supplier companies offer a big list of people movers, which include a variety of minivans & vans ranging from 7 to 12 seaters. It is a great option for ones traveling with a big group and big bags luggage. Mercedes C-Class, BMW, Beetle, Jeep Compass, and Chevrolet are some of the cars that you can rent on VIP Cars. They also include various SUVs and convertibles which are great for adventurous trips and coastal drives respectively. Where to Return Rental Car in Los Angeles? If you choose LAX as a drop-off location, you will have to return the rental car at an airport off-site point and board a shuttle to return to LAX terminals. Sixt, Alamo & other car hire agencies have their counters at off-airport locations, but as already stated above you can aboard the shuttle for the under the purple sign "Rental Car Shuttles" on the Lower/Arrivals Level islands outside baggage claim. 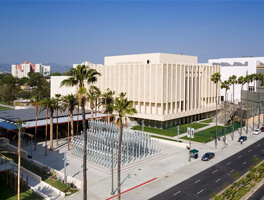 Although city's downtown area is located just 16 miles away from the airport, reaching downtown from LAX can consume about one hour during the day. Best time to enjoy a drive in your rental car is between 11 pm to 5 am. As an extensive network of freeways crisscross Los Angeles, one finds it quite difficult to navigate in-between an elaborated web of roads. Book a rental car equipped with a GPS that makes your drive an effortless experience, while you are behind the wheel. Prefer full-to-full fuel policy, while booking a rental car. You can save additional charges by simply refilling the tank just before returning your rental car. 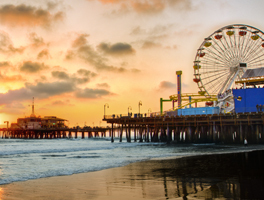 Get a great deal today from VIP Cars on your Los Angeles Airport car rental! Tourist as well as general information counter is located in Arrival Halls. The Tom Bradley International Terminal, which handles majority of foreign carriers, houses baggage storage facility. LAX is a disabled-friendly airport well equipped with adapted elevators and wheelchair ramps. Featuring a multitude of buying options, Los Angeles Airport shops have something for everyone. Whether you wish to explore the duty-free stores or some exclusive brand shops, you'll find all of them at LAX Airport terminals. The specialty retail store sells a number of electronic gadgets, gift items, and travel accessories. The retail store stocks a large collection of souvenirs and a variety of over-the-counter snacks. The merchandise store sells a wide range of seasonal sweets/desserts packed in easy to carry cases. The retail outlet is known for its assortment of newspapers, books, and travel-essential items. The famous electronic store sells adapters, chargers, headphones, and other critical accessories. The duty-free retail store features an extensive collection of cosmetic products and other goods. The grab-and-go airport retail outlet is known for its collection of delicious snacks and beverages. The airport retail outlet is engaged in selling newspapers, books, magazines, and travel accessories. The duty-free retail outlet stocks a huge collection of cosmetic products and other merchandise. 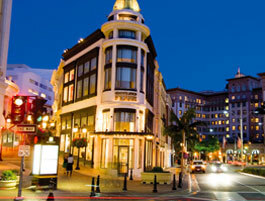 The Hollywood-inspired women's clothing boutique features designer clothes and accessories. The popular candy shop sells a wide range of chocolates, sweets, and other candy treats for all. The famous retail outlet sells a huge selection of magazines, souvenirs, beverages and tasty snacks. The duty-free merchandise retailer sells confectionery items, liquor, wines, and cosmetic products. The world-famous toys retailer is popular for its huge assortment of toys and educational games. The outlet is a one-stop shop for info on the latest television broadcast and entertainment news. An all-time favorite cosmetic store sells a wide range of beauty and wellness products for women. The airport boutique is popular for its expertise in clothes and accessories for women and children. The duty-free retail store stocks an assortment of confectionery items, wines, and other goods. The iconic store is popular for its Harley Davidson-inspired merchandise, including apparels. The fashion retailer is engaged in selling fragrances and fashionable attire for men and women. The retail store sells a variety of snacks, beverages, travel essentials, and branded E! merchandise. The news and entertainment store features a wide range of newspapers, magazines, and books. The list includes Burberry duty-free, DFS duty-free, Gucci duty-free, and Hermes duty-free store. The retail store is famous for its collection of best-selling books, magazines, and travel accessories. The one-stop destination for buying luggage, travel bags, accessories, and other travel essentials. Home to a large number of food joints, cafes, restaurants, and bars, LAX Airport presents a huge variety in terms of fine dining. Given below are the names of leading eating outlets operating at LAX Airport's terminals. The restaurant serves a variety of pizza, salads, pasta, drinks, and a range of other appetizers. The popular food joint is known for serving a wide variety of sandwiches, snacks, and drinks. The famous pub is known for its grilled cheese, nachos, burgers, sandwiches, tacos, and drinks. The world-famous cafe serves a variety of coffee alongside several other classic snacks and sides. The retail food chain is known for serving a variety of pizza customizable with a range of toppings. The open-kitchen restaurant is famous for its selection of Asian-American dishes and other drinks. As the name suggests, the bar is known for its variety of beer alongside complementing snacks. The well-known cafe serves a variety of coffee alongside several other classic snacks and sides. The eating outlet is hot favorite among those interested in savoring a variety of LA-based snacks. The world-famous food retail chain serves a variety of donuts and hot and cold beverages. The restaurant uses only high-quality organic ingredients to prepare preservatives-free fresh dishes. The world-famous cafe chain serves a variety of coffees alongside other classic snacks and sides. The cafe is known for its extensive variety of coffee flavors and complementing light snacks. The small cafe serves a large variety of coffees and teas, along with a range of sides and snacks. The food joint is a must-visit one of you're keen to savor an authentic Mexican cuisine and drinks. The restaurant's menu includes a range of breakfast options, snacks, alcoholic drinks, and salads. 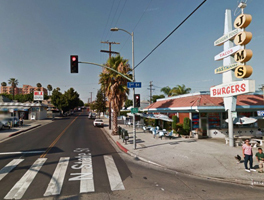 The well-known restaurant chain serves a wide variety of dishes, drinks, shakes, salads, and snacks. As the name suggests, the restaurant serves a variety of grilled food and hot as well as cold drinks. The bar offers a great variety of alcoholic and non-alcoholic beverages besides delicious snacks. The ultimate destination to sit and sip your favorite coffee alongside a fresh piece of cake or pastry. The fast-food joint is best known for its selection of snacks, mini-meals, and a variety of beverages. The restaurant's menu includes a wide variety of meals, snacks, desserts, hot and cold beverages. The bar offers a wide variety of cocktails, shakes, juices, and other alcoholic drinks and snacks. Discover a variety of customizable pizza options serves with a range of toppings and sides. Savor a wide variety of regional seafood dishes as well as snacks beside the famous sushi. A one-stop destination for a variety of menus, including special food and drinks for children. LAX Airport features several plush lounges that are dotted with all the latest passenger amenities. Accessible through a membership program or a paid pass, the following lounges let you wait for your flight in comfy settings. 6:00 a.m. – 10:30 p.m.
6:00 a.m. – 11:30 p.m.
4:00 a.m. – 12:30 a.m.
4:30 a.m. – 10:30 p.m.
6:00 a.m. – 12:30 p.m.
4:30 a.m. – 1:00 a.m. 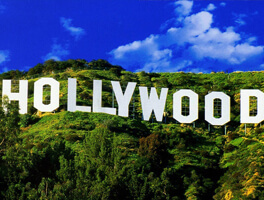 Which are the major tourist attractions in Los Angeles? 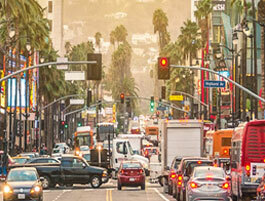 Often known as L.A., the City of Los Angeles is the epicenter of style and glamor of Southern California. 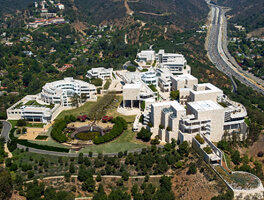 In between its world-class restaurants, legendary boutiques, magnificent movie studios, and iconic landscapes, Los Angeles also boasts of awe-inspiring museums and thrilling theme parks. 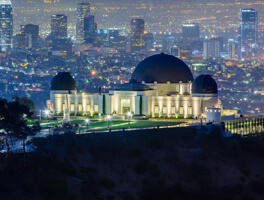 While the city itself is a fascinating place, it can also be slightly overwhelming as L.A. is sprawling across vast 468 square miles, justifying your urge to hire a car at LAX for an uninterrupted joyride. We have compiled a list of most sought-after attractions to help you save your time and effort, while you enjoy your ride in a rental car of your choice. This section covers some of the most frequently booked one way rentals on VIP Cars with pickup in Los Angeles. To rent a car for one-way in LA, all you have to do is use the 'Different drop-off location?’ section on our booking form or contact us through phone, Whatsapp or live chat! Santa Barbara, San Luis Obispo, Hearst Castle, Big Sur, & Santa Cruz are some of the stops you will find on this iconic drive. 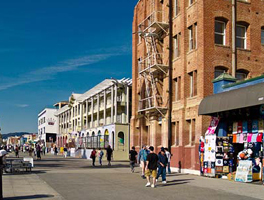 Santa Ana, Laguna Beach, Del Mar and Anaheim are the worth-visiting stops with Long Beach just a few minutes off I-15S route. 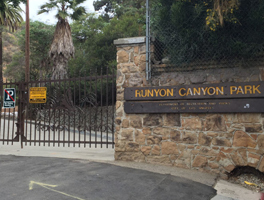 This 6hr drive takes you through a group of National Parks, quiet popular with campers. Burbank, Santa Clarita, Manteca and Grapevine are some of the places that you can visit on the drive from LA to Sacramento.